It is in my bucket list to visit every one of the 21 Missions spread along the California coastline from Solano north of San Francisco to San Diego. The Missions are individually beautiful and serene, a photographer’s dream. They are each listed as California Registered Historic Landmarks. 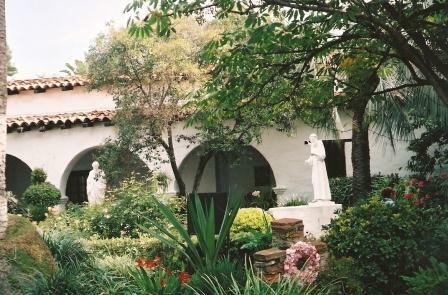 Founded in 1770, the mission was once the headquarters of all California missions, and is a National Historic Landmark. This is one of the most beautiful places in the world, peaceful and serene. Colourful plants grow in every corner of the garden, and the abundant blooms of a wisteria cascade from the interior wall. 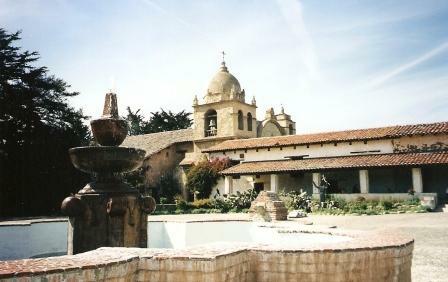 Inside the courtyard, a central stone fountain is surrounded with adobe buildings and a bell tower. 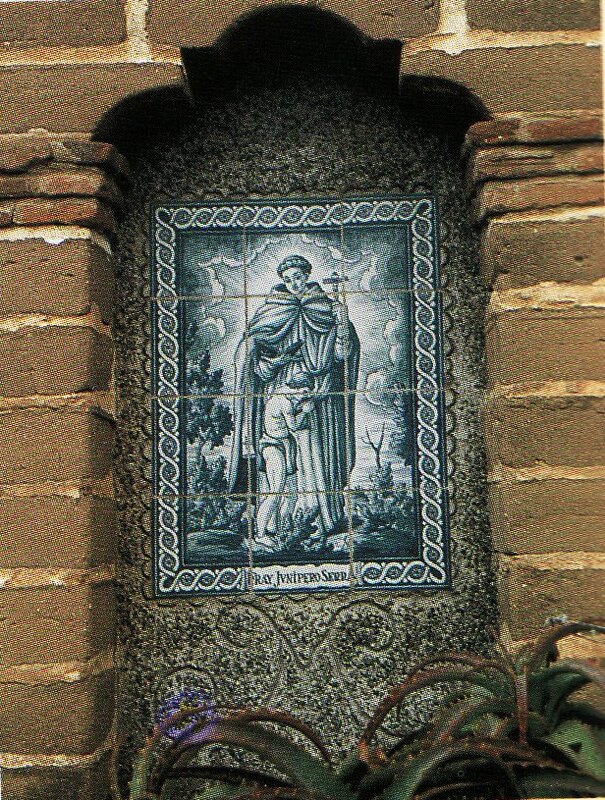 The adjacent cemetery, Campo Santos Cemetery, is very small and does not contain many gravestones although there are several statues of the Virgin Mary. One stone is inscribed ‘Old Gabriel aged 151 years’. Other small statues are inset into the walls. Established in 1769 and known as the Mother of the Missions it is built around courtyards leading into and around the church. Whitewashed adobe walls and red slate roofs contrast perfectly with green foliage resulting in a crisp clean image. Statues of saints sprout out of the vegetation. 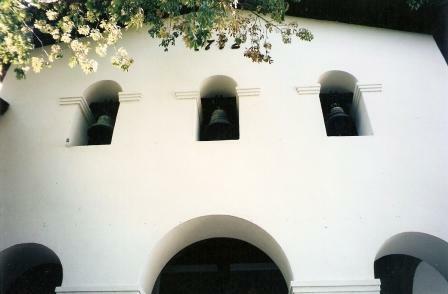 A bell tower containing five bells is rung to announce every mass. Mission San Jose was founded on June 11, 1797 by Father Fermin Francisco de Lasuen. A fully developed mission, and a self-sustaining village, it was occupied by local natives, a few soldiers, several artisans with families, and one or two priests. 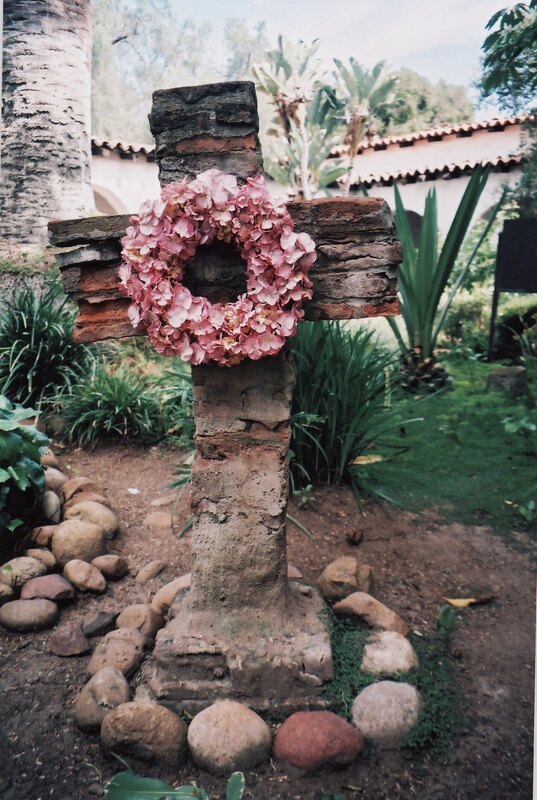 The cemetery is small, and as the gravestones are very old the Mission has requested that visitors do not stray from the paths. 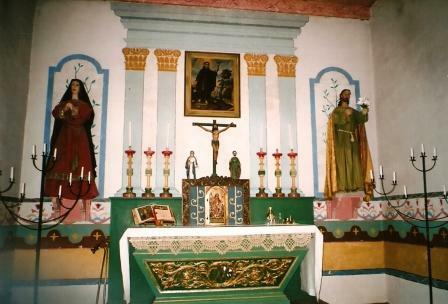 Not all the Catholics in the region were Spanish. A few graves are inscribed with French names and a number of Irish. 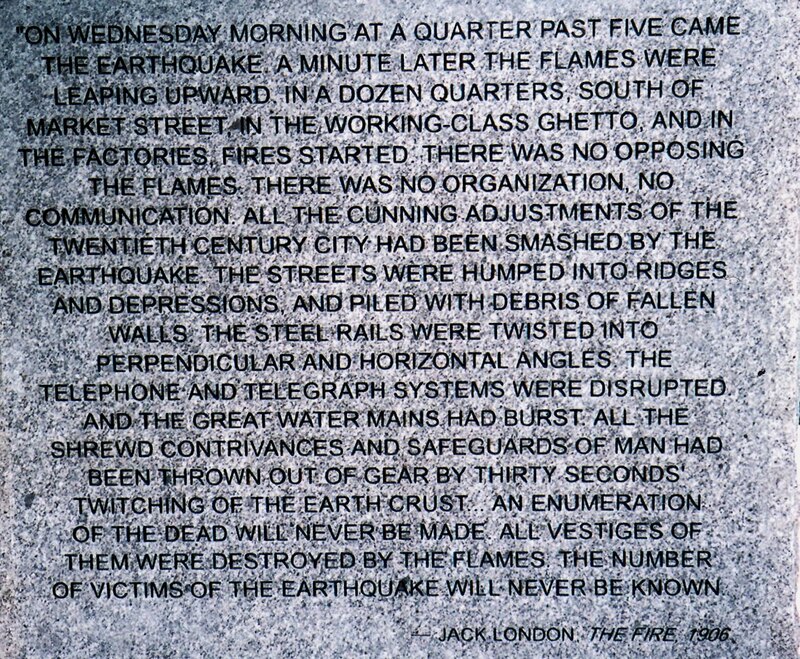 The mission has been pummeled by earthquakes. Established on July 4, 1823 it was the 21st Mission in California. An original adobe church once stood in the courtyard. 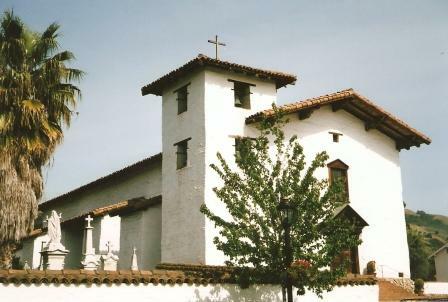 The Mission served the parish of Sonoma until 1881 when the building was sold. Only five rooms of the original Mission remain. 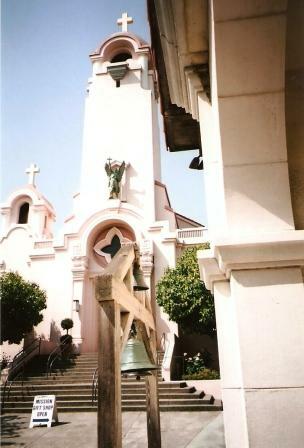 The Mission was rebuilt after it was destroyed by the 1907 earthquake. Founded in 1772, it is the only mission with an L shaped church. It stands in its original location in a valley known as the Valley of the Bears. The original Mission was burned to the ground in 1870. 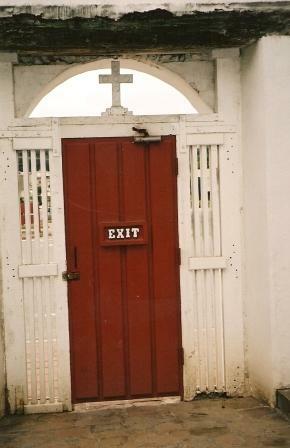 A Parish church was built in 1919 and in 1949 a replica of the original 1817 Mission was built. 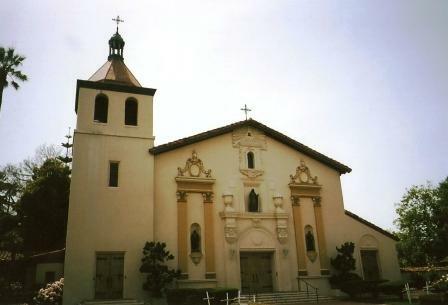 The 1771 Mission is located in the centre of the Santa Clara College campus. It houses the original bells from Spain and is a beautifully maintained, working church. The grounds merge into the university campus and are meticulously manicured. 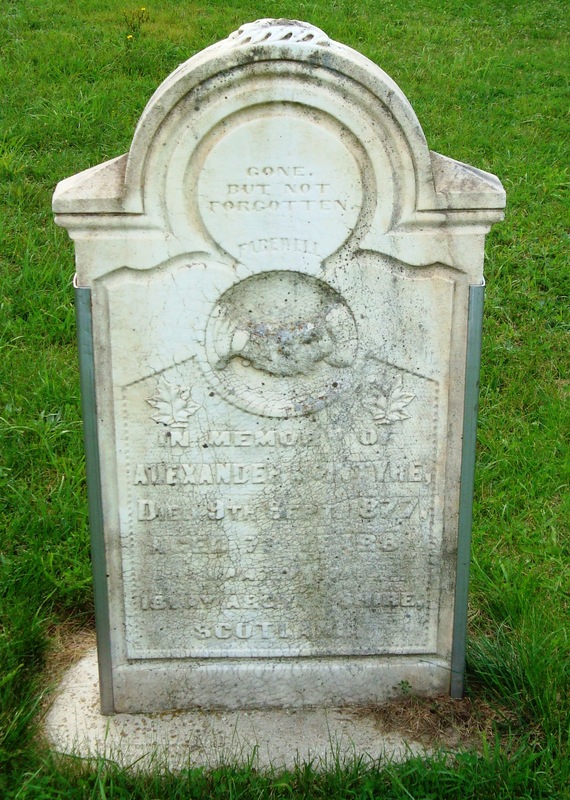 Located on a hill overlooking Oceanside it was founded in 1798. It is the largest of the Missions and was the most prosperous. This Mission is located in Jolon in Monterey County and was founded in 1771. It is famous for its campanario and archway bells. This posts reflects various types of tragedy. Evergreen Cemetery, Milton, Ontario, Canada. 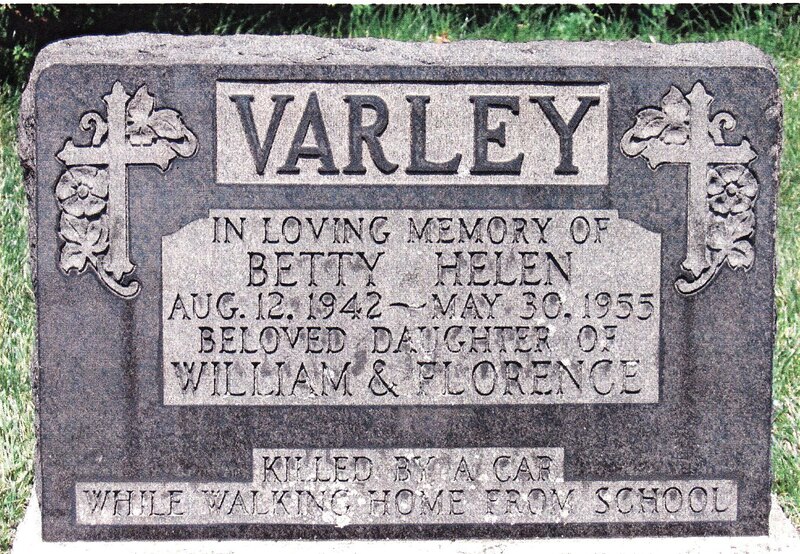 Poor Betty was killed on her way home from school by a car. To bloom with God on high. Created in 1892 this non denominational cemetery stretches for acres. 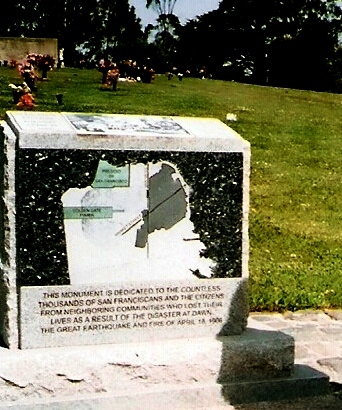 A stone monument is dedicated to the lives lost in the San Francisco earthquake of 1906. That binds us till we meet again. 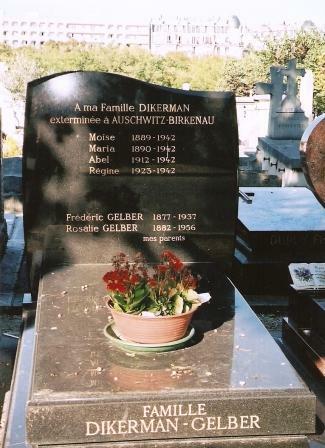 The Dikerman family were exterminated in Auschwitz-Birkenau in 1942 . And God shall wipe away all tears from their eyes for the former things are passed away. This monument is in Merrit Park beside the Welland Canal under the Burgoyne Bridge in St. Catharines, Ontario, Canada. 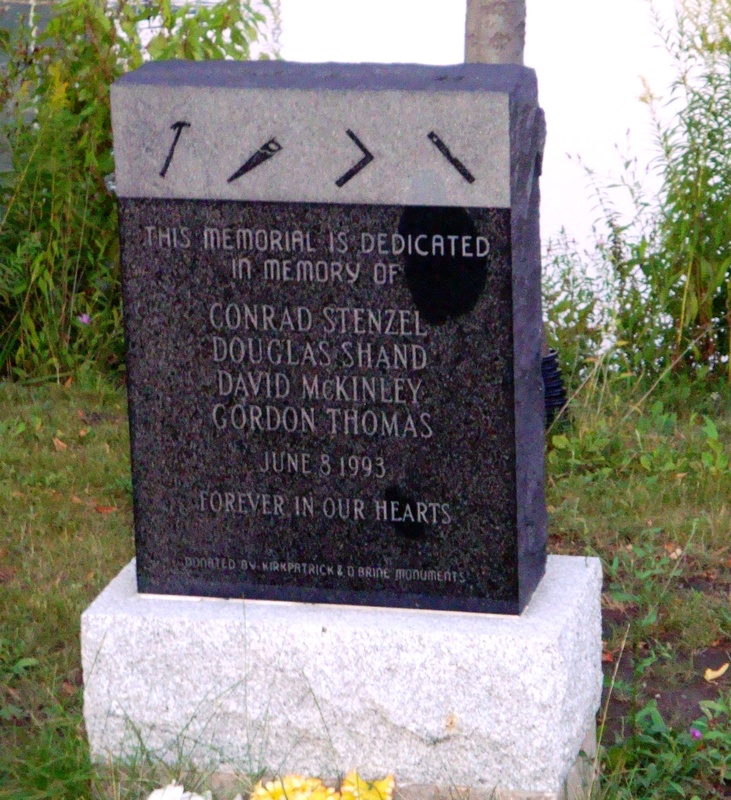 It is dedicated to the memory of Conrad Stenzel, Douglas Shand, David McKinley and Gordon Thomas who were killed during a workplace accident whilst working on the Skyway bridge. The four painters fell to their death on June 8, 1993 when the scaffolding upon which they were working collapsed. The fever of life over and our work done. 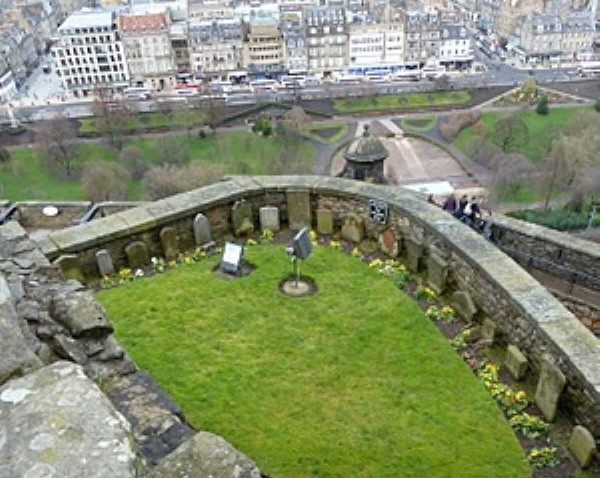 There is a small pet cemetery within the walls of the castle, one of only two in Scotland for the faithful companions of the castle’s commanding officers. The small garden out of reach of visitors can only be seen from above, and has been used since Queen Victoria’s reign as a burial place for Regimental mascots and officer’s dogs. There are approximately two dozen stones visible. 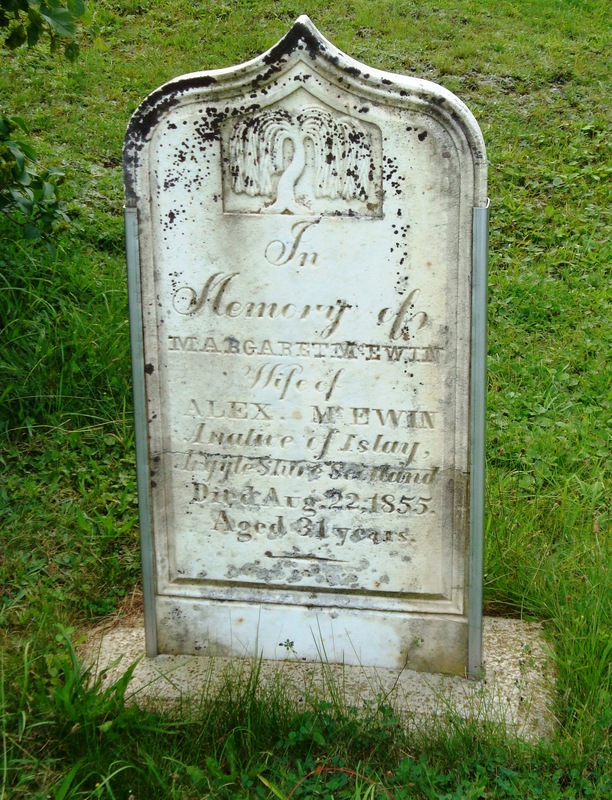 Many of the stones are so weathered that the inscriptions are no longer legible. 1893 DOBBLER travelled with the Argyll and Sutherland Highlanders to such exotic locations as China, Sri Lanka and South Africa. 1911 GYP a Crown ROOM dog. 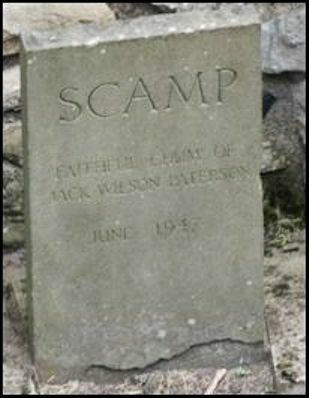 1947 SCAMP A faithful chum of Jack Wilson Paterson. 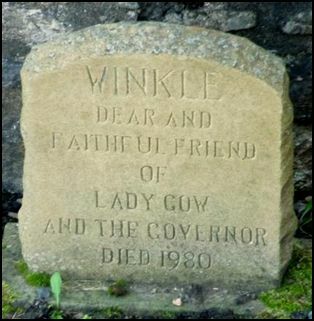 1980 WINKLE Dear and faithful friend of Lady Gow and the Governor. Is it folly that I hope it may be so. Still the guard the castle to this day. This pioneer cemetery rests by a river and a railway track, both lifelines for transportation and industry in Pioneer times. 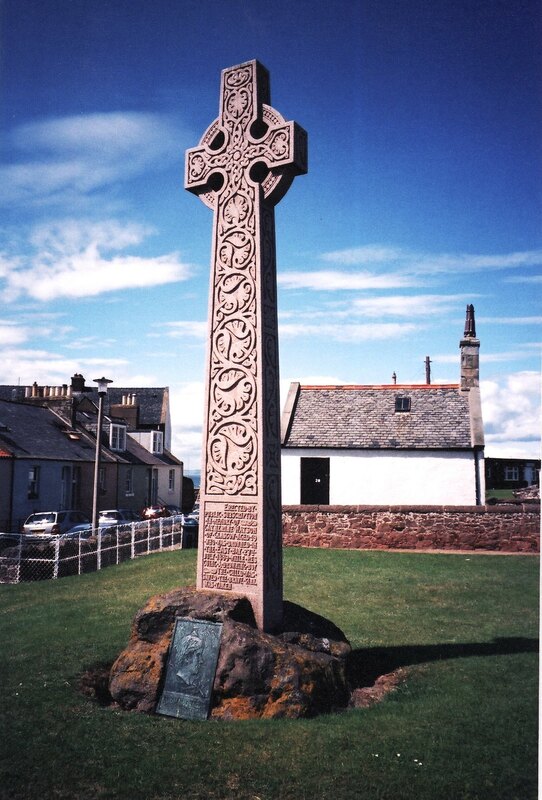 The majority of the gravestones memorialize natives of Scotland, and there is a large number of stones commemorating the Campbell family. And meet her in eternal rest. And his fellow servant held his peace. A small cemetery of rogues, thieves and unknown persons tucked away in the Old Town on San Diego Avenue is well worth a visit. 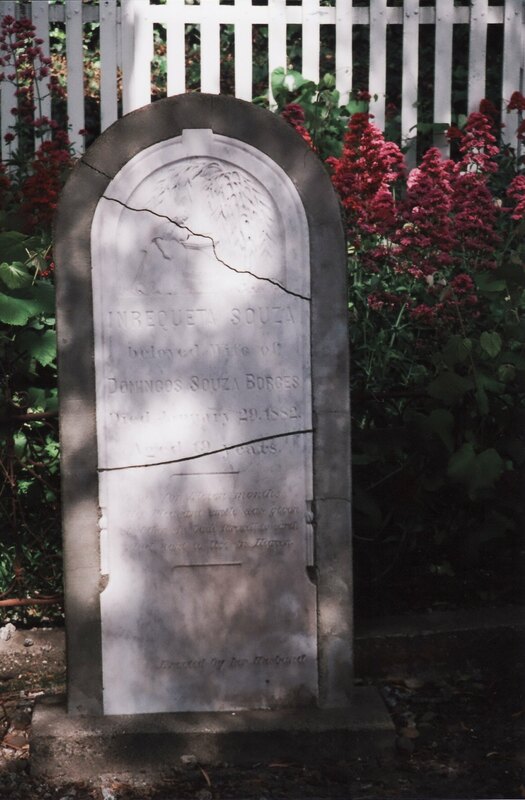 The oldest and most fragile gravestones are protected by white picket fences. 477 bodies are buried there, and tales of ghostly apparitions have been reported. 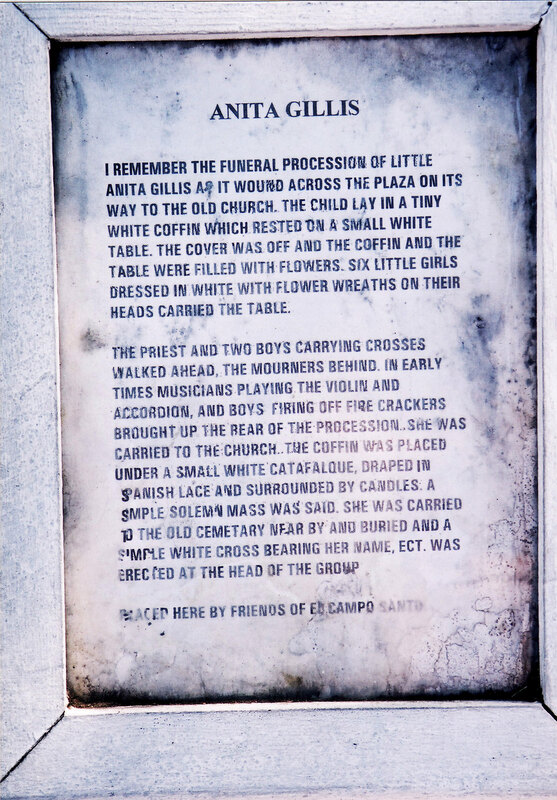 The old adobe walled Roman Catholic El Campo Santo Cemetery was established in 1849. 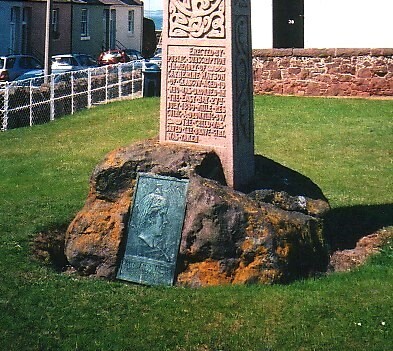 Until 1880 it was the burial place for many members of the Old Town’s founding families as well as for a few gamblers and bandits who passed through the town. Antonio Garra, a chief who led an uprising of the San Luis Rey Indians, was executed at El Campo Santo in front of the open grave he had been forced to dig for himself. 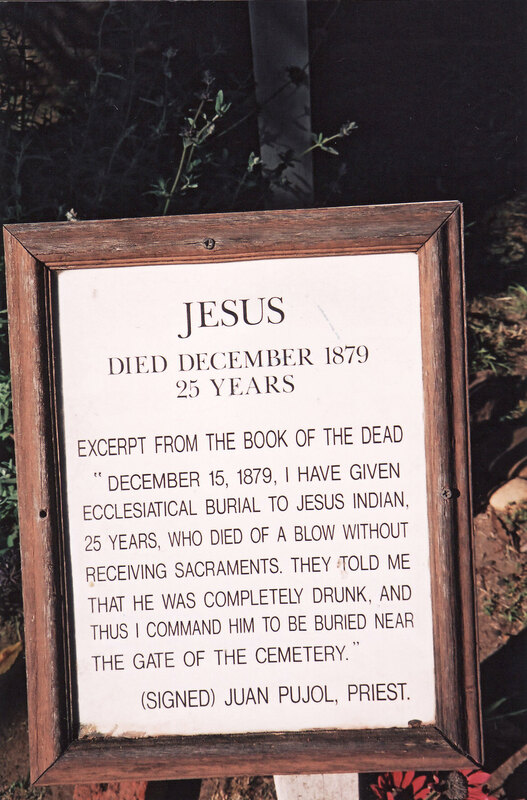 Died December 1879/Aged 25 years/Excerpt from the Book of the Dead/’December 15, 1879, I have given/Ecclesiatical burial to Jesus Indian/25 years, who died of a blow without/receiving Sacraments. They told me/that he was completely drunk, and/thus I command him to be buried near/the gate of the cemetery’/(signed) Juan Pujol, Priest. 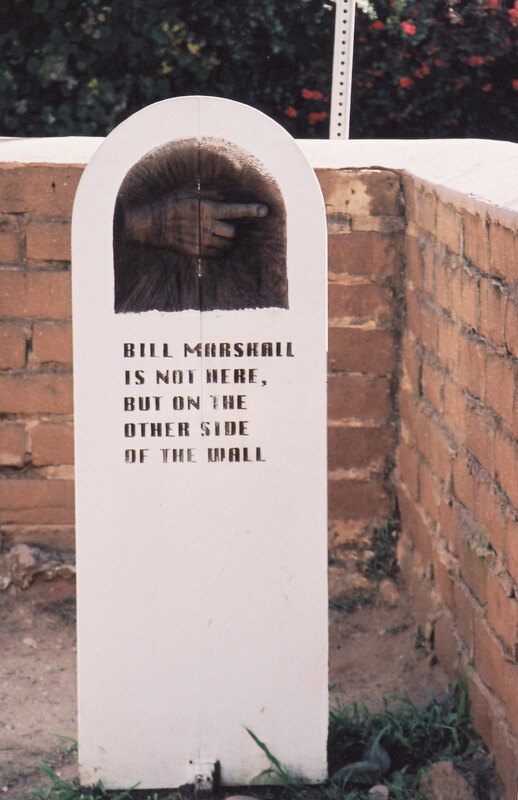 Bill Marshall was an American man, a renegade sailor from Providence, Rhode Island who had deserted from a whaling ship in San Diego in 1844. He married the daughter of a local Indian chieftain and lived with the Indians. He took an active part in the Garra Indian uprising in 1851. Bill and the Indian Juan Verduga were captured and brought back to San Diego to be promptly tried by court martial. They were found guilty and sentenced to hang. The Indian acknowledged his guilt but Marshall insisted he was innocent. At 2 o’clock in the afternoon of December 13, 1851, a scaffold was erected on the Thomas Whaley property near the old Catholic cemetery, El Camp Santo . The men were placed on a wagon and the ropes adjusted about their necks. The wagon moved on leaving them to strangle to death. 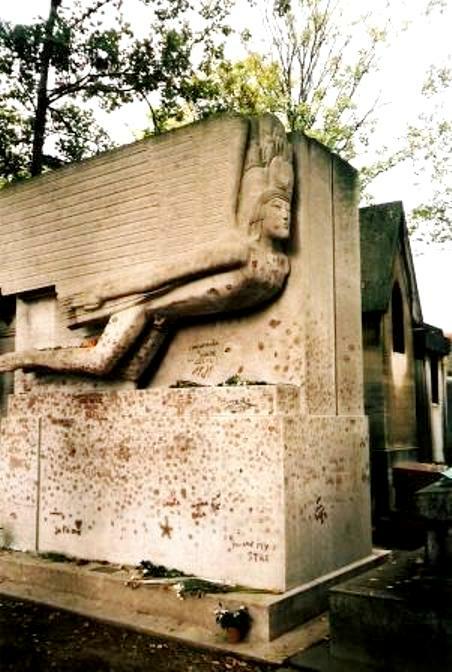 This famous Parisian cemetery was named for Pere Francois de La Chaise (1624-1709), the spiritual adviser of King Louis XIV. Steep cobbled avenues lead past grandiose and sometimes dilapidated tombs. Many famous celebrities are buried here, and without a map it would be impossible to find them as the cemetery is extremely large. It is said that each family tried to outdo the sculptures, monuments, tombs and crypts which has led to many spectacular works of art. Oscar Wilde’s memorial is covered with lipstick kisses. The grease contained in the lipstick seeps into the stone and repeated removal by cleaning is eroding the stone. Located at Walker’s Line and Derry Road in Burlington, Ontario, Canada. 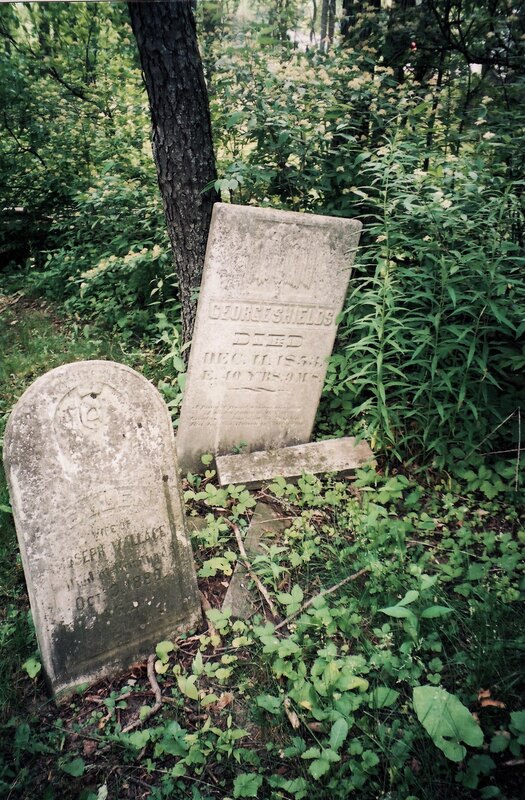 This is a tiny overgrown cemetery on an incline holding a dozen or more forgotten gravestones dating back to the 1800’s. Most of the inscriptions are illegible due to erosion of the soft stone. The site is believed to be haunted and is regularly visited by Paranormal Societies.